After a successful stint at Pimple Saudagar, The Egglicious Cafe has opened up a brand new outlet at Amanora Town Centre in Hadapsar and we cannot get over the egg pizza that they are dishing out. To be honest, we aren't the biggest fans of eggs. Despite that, we anyway decided to give this cafe a shot. To our surprise, the experience changed our whole notion of eggs. The Egglicious Cafe is a small, quaint eatery with humble yellow-and-white decor, nothing too fancy yet simple and neat. The focus is only on their dishes, carefully curated for those who love eggs to the core. There are over 50 egg-based dishes; some common while some very experimental. We particularly love their signature dish - the egg pizza, which is basically an egg omelette made of thick and spicy tomato sauce, and topped with cheese, olives, bell peppers, capsicum, and baby corn. The dish has a burst of varied flavours; a little bit of tanginess, a little bit of sweetness, a hint of creaminess, and just the right amount of crunchiness from the veggies. We think it's a splendid dish and for just INR 150, the egg pizza is worth every penny. 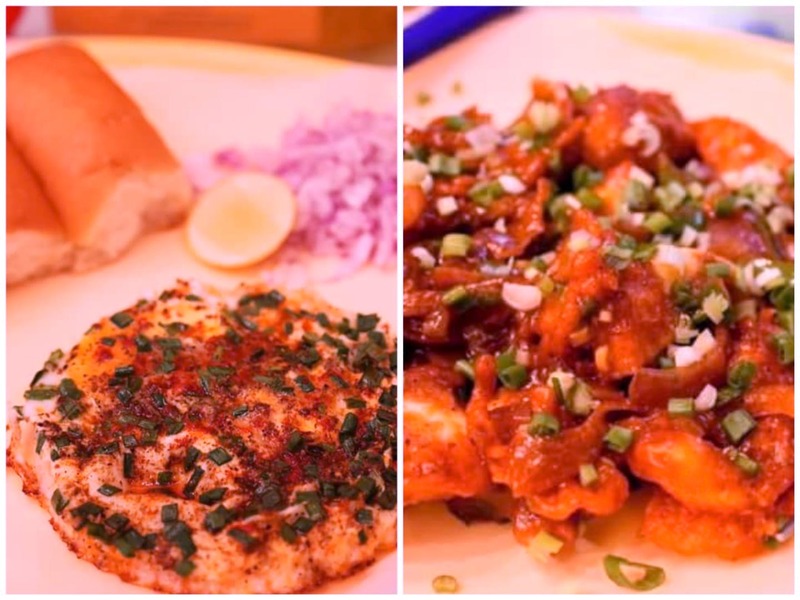 Apart from this, we also recommend you try the egg kheema dosa and the flavorful Sri Lankan omelette made of curry leaves and red and green chillies. The Egglicious Cafe has just two desserts to offer - choco lava and simple brownie. While they are great, we think there's a lot that they can explore in terms of egg-based desserts.